to the longitudinal study data collection site. Ratanakiri, Cambodia, October 2018: Two-year-old Yin Ratana and his mother Leav Channy, a rice farmer, are on their way to a health and nutrition data collection site in the Yeak Lom commune in the province of Ratanakiri. Ratanakiri is about a nine-hour drive northeast of Phnom Penh—the nation’s capital—and is located near the Cambodian and Vietnamese/Laos border. It is the monsoon season in Cambodia, and every day brings the threat of a torrential downpour. 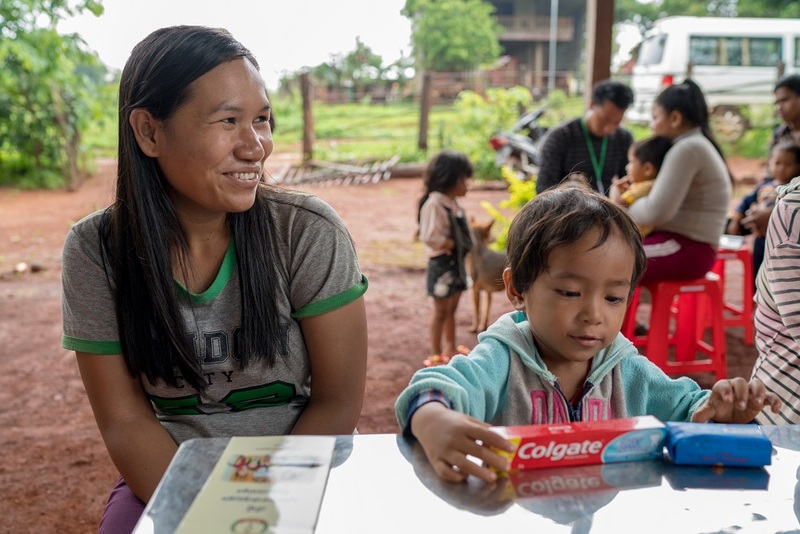 Like many of their neighbours, two-year-old Yin and his mother brave the elements to attend the data collection site, filled with eager and hopeful parents and their children. 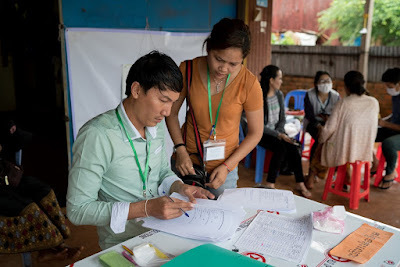 Families in Yeak Lom are taking part in the UNICEF-supported research, implemented by NGO RACHA (Reproductive and Child Health Alliance), looking into the health and nutritional status of pregnant women, newborns, and young children in Ratanakiri, Kratie, and Phnom Penh. The ground where Yin and his mother sit by a registration table is still muddy from the previous night’s rain. Two-year-old Yin has been enrolled in the study since his birth, and he appears excited by all the new people he sees in the village. He is the youngest of two children in his family, and this is his fifth follow-up appointment. for the longitudinal study taking place in their village. 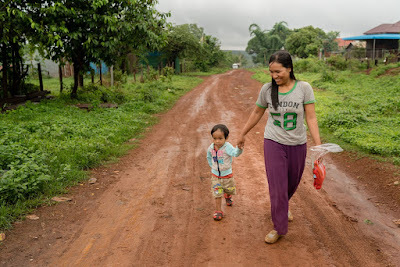 When Yin was one year old, his mother learned from the study that he was malnourished. Malnutrition in children raises the risks of stunting – a condition where growth and development are impaired as a result of poor nutrition. A child is considered “stunted” if he or she is below average height for their age. 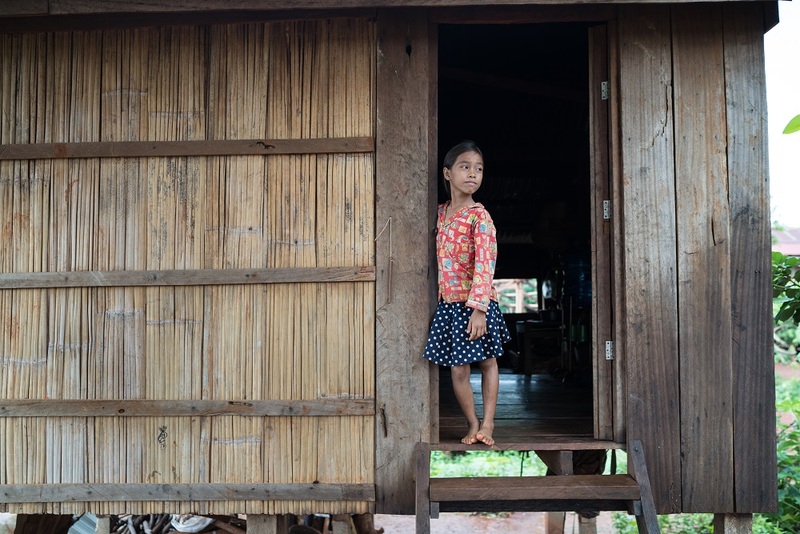 According to national data, 32 percent of children under the age of five in Cambodia were stunted as of 2014. This number was down from 45 percent in 2010 but still represents a significant problem as stunting has long-term adverse effects not only on the child but also for a country’s economic growth and development due to increased health care costs and lost productivity. 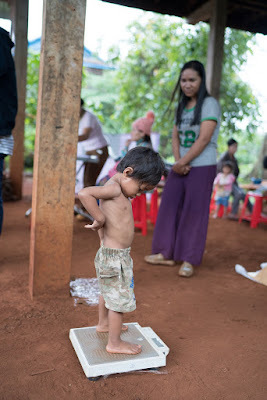 In fact, today, malnutrition is among the most prevalent poverty-inducing factors in Cambodia. To combat the effects of stunting, studies indicate the vital importance of nutrition between a woman’s pregnancy and her child’s second birthday, a period often referred to as the first 1,000 days of life which is associated with risks of irreversible effect. As such, UNICEF and RACHA’s longitudinal study collects data on women of reproductive age, pregnant women, lactating women, and children up to 24 months old. Ms. Channy is very grateful for the data collectors coming to her village because without them: “I would have no way to know the status of my child’s health, or whether he is nourished or malnourished. A year ago, my baby was malnourished,” but because of RACHA and UNICEF’s intervention, “now he is healthy,” she added. as part of the longitudinal study. Ms. Channy says that she cannot recall any doctors ever coming to her village, so she always makes sure to attend the study when it comes to her village. The research is so important to her because it is the only way she can monitor her child’s progress and help him grow up healthy like his sister, Sok Rotanaklina, who previously took part in the research. in the longitudinal study, in the doorway of their family home. 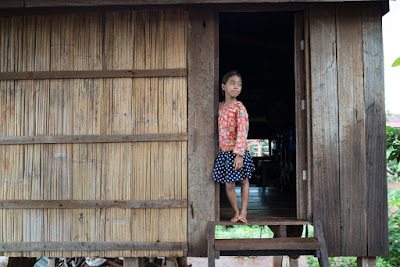 Mr. Seavyong has been working on the study since its inception two and a half years ago and has noticed that many of the children who were at one time malnourished are much healthier now because of RACHA and UNICEF’s involvement. UNICEF Cambodia is supporting this study with funding from UNICEF China as well as the Australian, Korean, and Canadian Committees for UNICEF.